Final English v1.51+, it's fixed trainer glitch that use random item. Use patcher included in the zip file. Use clean Fire Red (U) rom as target of ips file. Unedited header patch also included in the zip file. If you want to play link battle with Touhoumon World Link, Touhoumon World Link game version should be at least v1.30, because there are some changed metadata (moves and base stats) in both Another World v1.30 and World Link v1.30. Some Boneka are not available by catching in the wild (some of Last Word Boneka and DokterAneh). By releasing v1.30… the main story is completed. And also, I added behind the story of counterpart game through alternate world. By releasing v1.30… my expansion of gensokyo ends here. 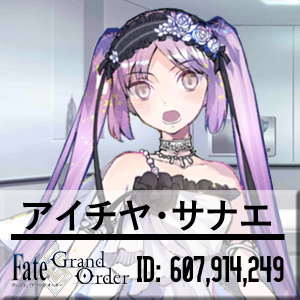 I will give batton pass to someone else who wants to continue expand the side story (such as Higan, Subterranean, Garden of the Sun, and many other places). In the next update (if possible), I will only fix the bugs and glitches and give some events in already existed areas, edite some sprites, and plan to write development detail for who wants to continue this. I’m really sorry to all of you… because my real life stuff is getting intense. A long time ago, Patchouli Knowledge grew tired of Marisa Kirisame coming and stealing her books. Therefore, she made some puppets with decent intelligence and power to keep the library safe. (She doesn’t believe in Hong Meiling at all) Unfortunately, one of the manuals had been stolen by Marisa and the thief herself made a lot of puppets for pilfering. When they came, Patchouli impatiently blew both armies of puppets and a part of the library away, included the remaining manuals. After the incident, puppets have been producing with a large amount and people got used to them. Time passes and they are now served like pets to everyone. 2. Overworld sprites overlaps other Overworld sprites, I have no idea how to fix it, but, most likely because of behavior in stream table. 3. Music stopped, I have no idea, because I only use VBA and DSTwo for testing. 4. Trainer re-battles (VS Seeker) aren’t correct, can be fixed but I don’t have exact re-battle list. Yo, not all random item using is fixed in 1.30. I found a nameless fairy using a tome to try to cure a bonéka from paralysis. On Another World 1.41 the music for wild pokemon battles seems to randomly stop. I’m not sure if it’s because I’m playing it on my psp but I didn’t have this problem when i played 1.30. @Nekodorama: I read somewhere that it happens when you pickup stuff in Youkai Road at the beginning. I tested it and it confirms. At Forest of Magic it also happened a couple times, then it returned to normal (picked up mushrooms, good for making money). Yo, version 1.41, EHatate has Ghost’s icon in Boneka List and PC functions. You made a great work with this. Don’t worry with the bugs, I can live with them. You are awesome! Bike does not work in Gensokyo, and patch of grass in masara town only spawns Sakuya and Yumeko after very long time in it. Bike also has some problems in masara town and other edited areas. If you’re looking for CReimu, CSanae, and CMarisa, they can only be found in the alternate Masara Town, not in the regular Masara Town where you can find Yumeko. If you want to use your bike in those areas, just mount it in a different area, stay on it without entering caves or buildings, and you’ll find that you can keep riding it even in the edited areas. Hope this helps. Also, Fly does not work for Masara town and Cinnibar island, even after using the pokecenter. Not sure if the inaccessible areas in gensokyo are relevant as i’m going through the game without a guide. and yeah it does. sorry, comp didn’t refresh your comment until after i posted. I really like this game, just wish someone would put up a general storyline, lol. Not like a walkthrough, but just a general idea of what you can do and stuff… i might have sequence broke as I did the bamboo forest right after i did vermillion, and went to youkai mountain the moment i got surf and found out you really need waterfall, lol. – Fly will not work for Masara Town, Guren/Cinnabar Island, and the Kanto Boneka League. I’m not sure if Aichi messed up or if they just had to used elsewhere (more likely). – All named areas on Gensokyo’s Town Map, including inaccessible ones, are relevant. They can all be accessed somehow. For example, Hakugyokurou can be accessed from Boneka Tower, Makai can be accessed from the Moriya Shrine, etc. The only exceptions are the Road of Liminality and the Sanzu River, which I haven’t found any way to get into. Don’t worry about any unnamed areas. There’s not really a way to sequence break… Kanto and Gensokyo are separate worlds that have new places to access whenever you have a new HM or finish some event. Anyway, you asked for a general storyline, right? Here it is, starting from Brock. I omitted most of the requirements to save myself time… so try to follow it in order. Numbers in parentheses indicate their level of their Boneka, unless they have ZBoneka. If they have ZBoneka, I put the ZBoneka’s level as minimum. Go to Hakugyokurou via Boneka Tower. *Immediately return to Kanto unless you’re 65+ for Sanae. After beating Mokou, you get the Azure Tome. Go to Misty Lake. Talk to Cirno. She has a Tome. She tells you to go to the Forest of Magic and beat the Three Fairies of Light (Luna/Sunny/Star). Surf NW of Alice’s house. Return to Cirno. Talk to her to get the Aqua Tome. Sleep in your own house to access Gengetsu’s Dream World. Sleep in your bed until you access Yuka’s Dream World with the Lake of Blood. For defeating Yuuka, you get the Jade Tome, and Reimu will now give you Waterfall. *If you beat Momiji, Nitori will sell you every item in the game. Inside Moriya Shrine, talk to Sanae. You’ll fly with her to Makai. Find Byakuren and release her. Then go back to Makai. Take the unlocked routes. Defeating Shinki gives you the Dark Tome, which should be the last. Go back to Patchy and give her all the Tomes. Go to Yukari, who will now teleport you to Border Island. Catch the A-VIVIT. One time encounter. Take the teleporter under where A-VIVIT was. *Flan will give you a Level 80 LFlan after the battle unless your party is full. Talk to Patchy. She gives you a ZBoneka. This unlocks Alternate World – Mishiro Town. You’ll return to Hakurei Shrine after the battle. Yukari can now be battled. *Defeating Yukari unlocks the other two Alternate Worlds. Keep re-entering the Alternate World until you reach the alternate Masara Town. Keep re-entering to the Alternate World until you reach Yogyakarta. Saffron, you are freaking awesome. I did the bamboo forest right after i did misty, and yuyuko before erika, and finished koga and cinnibar before i even started silph. -_- , then i got stuck in gensokyo because I beat sanae and tenshi and didn’t know where else to go. I even talked to cirno but the three fairies didn’t trigger, and there were no new articles from aya, so i was kinda bummed out. lol. looks like i need to backtrack to saffron to set things right. And also, it wasn’t me trying to find cmarisa, creimu, and csanae that prompted my complaint about the grass patch in masara town. It was because it had the lowest encounter rate ever! I can have a 10 lvl higher boneka than surroundings boneka with cleanse tag and max repel on and still get in more random battles in places like seafoam and cinnibar than i can get in masara! I love my meidos! yeah, the 3 fairies still ain’t triggering for me. i’ll try beating the elite four next. Oh, sorry! Looks like I messed up… To trigger the Three Fairies of Light sidequest, you need to examine the Tome that Cirno’s reading, and then Cirno will talk to you about beating them. I’m really sorry about that. Yes! it worked! Thanks so much! Do you mind if I copy what you just wrote and make a psuedo-guide for Touhoumon Another World on Touhouwiki? I don’t really mind. In fact, I think it’s a great idea. Hmm… I don’t know. My post seems really bare for a guide. What do you think? Still want to copypasta for the walkthrough, or should I put up my personal guide instead…? It needs a lot of editing to meet the Wiki standards though. To be honest, its the first guide or even written list of events that i came across. It is really helpful, and as I did my run diffrently, i know when you can do different things. Such as once you get cut (beat vermillion) it is possible to go back and run through the Bamboo forest of the lost. Its hard, but the levels are worth it. But still Your little bare-bones list is enough for most people to be fine with that. The only thing missing is a pokemon-location guide, but once you finish the game (i.e. get to gensokyo league) it gets alot easier. And don’t sell yourself short, its pretty cleared up already. Just some baisic sprucing up and it’ll be fine. you did a really great job. and a parting question, no need to be answered as i prolly will figure this out once i beat the Gensokyo League, But will there be more last tags than the 2 in Makai? Since items reset in Gensokyo but not Makai i’m wondering how can we get more. Also, is it one time use? Because i picked up two on the way to Shinki, then trolled the moriya shrine grass. Got 2 Lboneka but then i looked into my pack and couldn’t find the tags. Yeah, I go through the game by levels, because I don’t like grinding… I go through Rare Candies excessively, and I’m very grateful to Aichi for lowering them back down to 9800. Um… Last Tags can be bought for 65,000 each from Yogyakarta or Nitori at Youkai Mountain. Last Tags are automatically used to encounter wild LBoneka, so if you don’t want to use them yet, have your Boneka hold them. Also, I completely agree with you on the resetting trainer flags in Youkai Mountain. They are so annoying… I never go there unless I want to visit Nitori. Just what is wrong? What part are you playing (how far into the story?) Have you activated cheats or not? Are you playing a corrupt file? The main problem is i’ve never encountered your problem so i wouldn’t be able to help much. Also, there is not enough information for me/anyone else to help troubleshoot with. If all else fails, do a clean download of VBA 1.80, Touhoumon AW 1.40, and try importing your save before starting a new adventure entirely. If you did something with ????????? ?, the game will permanently corrupted, and you can’t change it back. You should just get yourself a new ROM and play without cheating next time. Ah, yes. Also when i retrigger the Youkai mountain stuff, things go crazy sometimes. There was one time that whenever my Rumia would attack a heaven orb would be thrown! and once it got so bad i actually caught one of the fairy’ Mitori! I took that as the game/save getting corrupted (as if this happens when the RNG checker is not disabled it corrupts a slot in your Pokemon storage in normal FireRed and the old Touhoumons) and just reset my game. Meeting Nitori as is right now, (as i have not cleared the Gensokyo leauge yet) she still only sells every TM in the game… which is awesome. I’m more concerned about procuring Moon Stones and Sun Stones… I want to build a whole team of Inu Sakuya without screwing over my iDollDex completion. Ah, the biggest pain in the but though is EV training. I mean ARGH! It’s not like FireRed when you can Vs.Seeker EV train, at least not that easily. After all, if you don’t fill out your EV’s, the rare candies really lose meaning right? It probably would be very annoying for first time players to do this you know? sorta like what happened with me, in Makai i got 2 last tags, and i almost ran out of Miko Orbs as i was getting some Boneka there. All of a sudden I walk into the grass and new music and animation, then boom, LSanae. I was like “yes” just had a heaven orb, net orb, nest orb, and 2 great orbs. Used the heaven orb and went on my way. Went to suwa lake, triggered the LSuwako before I knew what i was doing, and used a great orb and a net orb. Went out again, and bam, a cHatate, the only tengu i did not get yet, and used up the nest orb. And well, you can tell what happened. A LKoishi popped up and I only had a Great orb left. Luckily i got it, but man. I really wish there was a Mart in the Moriya area! All this information would be so useful for first timers in seeing what to do and planning their moves. Heck, if we’re really bored we can also make maps of the dungeons and stuff. Without looking at the FAQ of AW about the gap zone, i would have given up in frustration probably, and i know the Bamboo forest of the lost would have been a pain too. Nitori does sell you every single item in the game. Just keep talking to her. She randomly chooses from two shops each time you talk to her. One will have all TMs, and one will have every other item in the game, starting with healing items and ending with Last Tags. If it’s the wrong shop, cancel and talk to her until she gives you the shop you want. Marisa’s Magic World also features a EV training area, but it’s not as good as World Link’s, since MMW has Ruby as its base instead of Emerald. This means the EV reduction berries don’t work. Still… if you have a Boneka with no EVs already, MMW is perfect for EV training, since it’s accessible right at the beginning. Muenduka has all the evolution stones and Last Tags. Just found out despite putting in 80+ hours into Another World already… Sigh. Depressing. It’s the one and only place I never checked… Putting it up here for reference. In hindsight, Aichi’s comments about Last Tags being acquirable early in game should have set something off in my head, but it didn’t. Wow… yeah. Didn’t notice that either. Oh, by the way have you been breeding boneka? Since it was Male, i decided to breed it with a Tori, which has the breeding group “Ditto”, and got a valid egg. Does this normally happen to you? Maybe its from the non-valid move checksums since Tori has moves instead of only transform like ditto? or is the breeding system just not working right? I bred some Cchens and whatnot without much problem but this ditto breeding seems not to work. I also wasted a ton of time trying to get yukkuris with my Super rod. Old rod hooks only yukkuris! -_- i feel so stupid. Sorry, I haven’t ever bred anything before in Aichi’s hacks, so I wouldn’t know… I’ll try it out later today. Sorry, but the breeding works perfectly for me. Looks like CReimu is the spawn of men and traps who like birdies. Makes me feel sorry for her in a way… Why her out of everyone, Aichi? Anyway, I don’t know why you’re having that problem. Maybe you had some cheats on or something? I’d make sure to check. If by normal pokemon convention, since Tori (according to the touhou wiki) is in the Ditto egg group, ERan (M) + Tori should give out a CRan. Breeding with the “ditto” egg group allows for you to get babies from Pokemon with no gender and from Males. but, in the reality it’s hard coded…. This is really interesting… It’s like just being part of the Ditto egg group isn’t enough. There must be something else in the Pokemon games that allows Ditto breed with males correctly… Is there something special about the Ditto slot besides the egg group…? Yeah. It’ll probably be a lot of work to hard code it to get the correct things right? idk. Never hacked a ROM before, but been through some programming courses. Going to take a peek at the source code soon and look around a bit in both this and the copy of FireRed moemon that I have. Um… I don’t think you don’t necessarily have to hard code Tori’s slot to fix the issue. I think you could swap Kirisame’s and Tori’s data around and redirect CKirisame’s evolution path. I don’t know how much work that would be though, since the data does include sprites, encounter areas, and all that… May I get your thoughts on this, Aichi? Yeah, the train easy cheat corrupts the game’s actual data, especially if you start catching and using the pokemon. The ????????? (10 ? marks) and bad eggs are glitch pokemon that actually point to valid data in the game, so when you level them up or move them around you corrupt the actual game data. If you want to really train easy or go through the game faster you can use the FireRed max stat cheats, just remember to turn them off before level up if you want to revert back to proper stats. I’ve finally gotten around to formatting some of my guides… I have posted my notes on Abilities, Moves, and (important) Trainer data on Touhou Wiki. They could use some aesthetic changes, so feel free to make it look better. I might work on an actual walkthrough for the game, but it would be a lot of work for just myself. I most likely won’t finish it unless I have help… If you feel like this is something you could help me with, let me know here or on my user page on Touhou Wiki. Thanks! Looks good, though the gym leaders thing was a bit hard to read. the abilities list and movelist was very valuable. Now i know what they actually do! Um… could you tell me what exactly was hard to read about it? I don’t really know exactly how I should fix it… I’m thinking about learning some templates, more specifically tables… Would that be better? Well, to sort of rip off Bulbapedia, since this isn’t a “guide” per say, organizing them in order of meeting is not a good idea. It will probably be better to put them in by region, and put multiple instances of a trainer together. For example all of Green’s meet ups are grouped together under the heading “Green” and then afterwards put down “Meeting one – outside X town” and his boneka afterwards and any notes before going “Meeting two – After X happens” and so on. By turning this into a long list of things its hard to find the instance you actually want. also, if you could make the boneka and their attributes into tables instead of lists it’ll be easier to keep track of everything for the reader. If you don’t mind, i can re-make the list in the format i’m thinking on Word and email it to you. Also: Do you have the Reimu rematch stats? You know, when you leave gensokyo but come back before Lavender town. If you talk to Reimu to heal you, after she heals you she challenges you to a rematch. The problem is formatting it to be usuable in the Wiki… I haven’t ever used a Wiki format before, and it’s been pretty difficult learning it. That’s why the moves section follows outline format instead of a table. To make tables, I need to learn how to make Wiki templates and implement them… If you know how, then that would help me a lot. Also, Reimu can be rematched at any time after her first battle. She’ll have the same team all the way up until you defeat both Sanae and Yuuka. I have a bit more experience in wiki tables, and actually am working on making all of your information into a table. If you would like i can give you the completed version as a word or text file, and all you’d have to do to view it is copy and paste it into the Sandbox area of the Touhou wiki. If you already have the table, it’d be better for me if you put it up on the Wiki… since you did all the formatting, after all. I would rather just edit things on the Wiki. I’m more of a minor editor than anything else… I’m not really into page creation and formatting. ok will send it soon. oh, i first noticed this in World Link but is Psybeam a psychic move? When my Ellen uses it against a fighting boneka like Elly, it doesn’t trigger the “super effective” bonus while the same boneka and battle when i use Confusion does. You probably know this already, but you were attacking with Psywave, not Psybeam. I see… Thanks. I sent the first part of the edit to you. You may notice that it is grouped differently than you did, and that all boneka lists are collapsible. I did this for both aesthetics and ease of use, as normally you’d try to look up a single player, often in a specific area or group. Other than that I tried to copy your stuff word for word and added “?? ?” to unknown items, moves, and abilities. Oh, for the ?? ?’s you already put in, don’t worry about it. You don’t have to edit them; I will. You’re already helping out so much. As for the abilities, I’ll fill them in at a later time, so if I didn’t list an ability, you can just leave it blank, okay? I recently improved the templates and modified my files again. Though with all stuff i haven’t been working on the whole thing too much. Will be able to do more after Christmas. Does anyone know how to get a card key for Silph Co.? I am lost in there and the elevator to 11F is a dead end! How do you get Surf? Card Key: 5F at the very bottom right. Surf: At the very end of the Safari Zone. How do you get Strength? @Lukesky180: Get the Gold Teeth in the Safari Zone. Then trade it for Strength in one of the houses in Sekichiku (Fuschia) City. @oWingz: Running Shoes can be purchased at the Kirisame shop in the Human Village. OK, one of my last questions… is there an EXP Share? If not, are there any places where I can get Rare Candies? Exp. Share: Upstairs in the gate connecting Route 15 and Sekichiku/Fuschia. Alternatively, buy it from Nitori at Youkai Mountain or from the merchant in Yogyakarta. Rare Candies: Buy them from Nitori or from the merchant in Yogyakarta. They can also be found very rarely (~1%) by Pickup. By chance, do you know where I can get a ROM base of PkMN FireRed with the Boneka already inserted? Basically a normal, unedited FireRed (English) ROM with the Boneka already in? I’d like to do a hack using the normal FireRed land but using Boneka. I can’t meet Nitori and Momiji. They should be in the cave, but that cave is empty and no one exist here. How can I meet Nitori and Momiji? where can i meet her in the shop in the boneka center? whenever I try to save my game it tells me “save error. please change the backup memory.” Is there any way to get it to work again without beginning the game anew? Ok, I found the shop. Its nitori beside the Nurse in the Boneka Center. Sorry for posting so many things, but I don’t know what to do after I beat Marisa in the magic forest. I need help! Go back to Hakurei Shrine. @JetAurion, yeah, thanks, my problem was: I went to the Hakurei Shrine again and defeated Reimu but I didn’t see yukari in the bed in the right room. But now I found her and I’m already in Kanto. How to get VM 06 (Rock Smash)? Can you acces the Sevii islands or not? 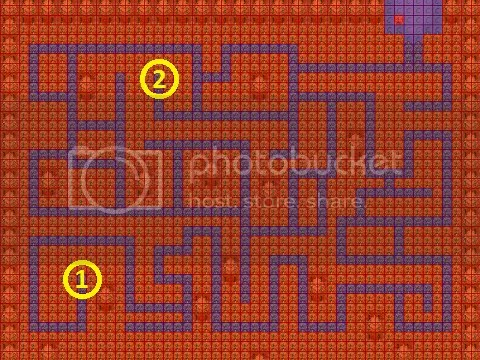 The cave is not inserted, to go to the moriya shrine you have to fly or go to the scarlet devil mansion, then on the right is this lake, you have to surf to the bottom right hand corner, there should be a small path to the youkai mountain. Really? I got a cEiki as my first encounter there. Do you hate CReimu by any chance? I mean, my EReimu is lv38 pretty much normal stated and then figthing with Riemu i found that she has from ghost, steel, ice, rock, psychic… well pretty much everything, not a big problem, except that is it impossible to beat her with a normal stated main character, even with my FRumia 35, ACirno 36 and Sunny Milk 34. (yeah i spent a LOT of time grinding). Looks like the only chance to beat Reimu is if you pick either Sanae or Marisa, becaue a flying/normal touhoumon is easily beaten by ZReimu. Anyway, incredible patch dude, i really enjoy it (making aside that little problem) too bad you won’t keep developing the story. Any starter is easily destroyed by ZReimu. It’s been a while since I’ve done a run, but I remember some people saying that they had to grind to lvl 40 to stand a chance. Well, I don’t mean to brag, but I just beat Reimu right now with my main team in the lv 21-22s and a lv 39 Ghost that I supergrinded for a while. The basic strategy was to get Youmu out of the picture, and i used Rumia to confuse and smokescreen her, and CMeiling to leer her once, and then Chen to Mud Shot her and keep killing the accuracy until she fainted. Reimu then brought out Marisa, and I countered with Ghost. As I hoped, since she has no other effective skills due to Ghost having Omega Guard, she started spamming Spore, which i waited out so she would drain the PP, and then restored my confusion with a persim berry. (Spore has been changed to have swagger’s effect in recent patches.) Having maxed out attack, I proceeded to Semi-sweep all Reimu’s Bokena (Touhoumon) with just Lick and Omega Guard backing me up, While Reimu could only prolong the inevitable by useing full restores on her team, since not even ZReimu could touch my Ghost. Strategy FTW! FYI Patchouli will take care of Youmu, Sakuya, and Marisa with 1-hits, leaving you fully charged for ZReimu. I’m still trying to grind a Lunasa while looking for a Ghost to use to kill ZReimu. To catch Patchy, either use Rumia’s Darkness skill to stop he from teleporting so you can catch her, or use a lvl 7 Prisimriver sister’s Astonish and hope she flinches. From there, equip Patchy as first slot, then in battle switch Boneka. She will get EXP. Once she unlocks Confusion, just grind her repeatedly. If you’ve beaten Marisa, grind by Muenduka. If you happen to get a Charcoal from a captured Sunnymilk, put that on Patchy. Grind her all the way to lvl 38 for an EPatchouli. My Item list is: Confusion, Earthquake, Bubblebeam, Flamethrower. With Charcoal equipped, Flamethrower will Super Affect and 1-hit KO Youmu and Sakuya. Flamethrower is also strong enough to defeat Marisa with 1-hit. As for ZReimu, I’m still working on her. My lvl 38 Patchouli is strong enough to hold off ZReimu’s attacks, but I don’t have any Electric attacks with me, so my Flamethrower is only doing moderate damage. Personally, my method was to pick Marisa, grind her to lv40, get a Sunnymilk and level her till you can get her to EX form via fire stone. Get a Mystia; level her accordingly. Then, you can fill your team with any other Boneka. @Okuu&Patchy One problem, Zreimu’s type is ?? ?, so electric-types don’t really help that much…. Just spam flash, or something. I’m playing the ROM off Gameboid and I’m having a few save issues. I usually avoid savestates, but for some reason, it’s this specific ROM that says “replace the backup memory” when I attempt to save. My save format is on Flash 128kb, and I’ve already tried deleting my savestate and then putting it back in. In-game saving works with all my other ROMs, so, if anyone knows how to get rid of that problem, please tell me. Thanks in advance. No. 198, DEYukari, LYamame, LMedicine, No. 231, 240, 244, 247, 250, 251, CEllen, CByakuren, CShou, LSuika, CParsee, No. 315, 335, 339, CMitori, CSasha, LSatori, LUtsuho, LKanako, CHakurei and No. 376. If anyone could tell me how to get these on my samsung, that would be great. Where is the place you catch artcuno in firered? And i’ve realised that some boneka aren’t obtainable once you passed a certain part. Like LYuka… If i could ever get to her mansion again. Thanks for info. Im not sure about Layla because i remember revisiting the mansion and only the three sisters show up throughout the whole mansion. I’ll check again, thanks. I was also thinking of playing it on my computer but i’m not sure if it’s possible to convert my .cht files so if anyone knows how then could you please let me know. Thanks for the info again oWingz, i’ve caught a few more boneka thanks to you. I just need to complete my Dex. where is the move relearner? i am stuck at Muramasa’s ship after beating Elite four in the “Real World” what do i do from here? Got LMokou…..but i can’t get any more Lost World to show up…am i suppose to have only one encounter out of 5 master balls given? But do you need, like something to make them like, appear? I like, have used repels, has last tags, but they are like, don’t want to come out! You cannot make a Last Word pop up out of the grass if you use repels, while you yourself have like a lvl100 Boneka as first in your deck. Indeed, wild Last Word Boneka are lvl70, so I recommend you to use a lvl70 Boneka as 1st position of your deck, so that you can use repel+Last Tag effectively. aichiya sanae-samaa…. please…oh please tell me the info on the EDITED HEADER VERSION because i really need it to save the game after the elite four. I don’t wanna start the game from the beginning again….Please bear with me here…. I’m wondering, actually what is the problem if I in-game save and I get the ‘Save error. Please exchange backup memory.’ error? I deleted the .sav file after getting that error. Is that a problem? I’m now restarting (I didn’t have much data anyway). I solved the error on my own. You guys can ignore this post now. Actually, after I did an in-game save, I was forced to restart again. By the way, could anyone explain how I can load in-game saves when I transfer from VBA (non-link) 1.7.2 to VBA Link 1.7.2? Thanks. If you could provide further details, thank you so much. However, the regular VBA needs a .sav extension to work. So all you have to do is change the extension from .sav to .sa1 or vice versa, depending on which emulator you want to use. The in-game save problem is probably because you don’t have the right extension on your save file for the emulator. Change it to the right one and it should be fixed. Aichi, there were some discoverings done recently, possibly, there’s a Teleport Bug. After you fight Marisa, you have to go to the Muendzuka. Okay. Normal. You take a rest in the Bonéka Center there, and Teleport should take you there. Here’s the thing. After you talk with Reimu (the dialogue before fighting her), it sets up the teleport flag to Pallet (Masara) Town, allowing you to skip the fight with Reimu and crossing the gaps to go to Pallet Town, and facing the guardian Kongala, which shouldn’t be. The teleport flag should be in the Muendzuka, not in Pallet Town. Well… I hope this info helps in something. Anyway, I’m just telling about this, with the purpose of informing. I think, you mean the flag should be in Hakurei Shrine as you just rested there. Also you can teleport back to shrine by resting in your home bed or boneka center near cave exit. OK. That’s right. Then some teleport flags are wrong. Not only the one I mentioned, and yes, I should have meant Hakurei Shrine. Anybody managed to figure out how to get in game saves, not save states to work on PSP emulators like the gpsp? I keep getting the 1M sub-circuit board error, and there’s no method of changing the Flash. I’ve tried this method, but Touhoumon’s game name is the exact same as Fire Red, so that destroys the third step. Any takers? 1) open up a text file called “game_config.txt” in ur gpsp kai folder(using USB mode of course). 3) delete any save data(.sav) and savestate(.svs) files related to the game file. 4) start up ur game. the “1M sub-circuit board” error shouldn’t be there anymore and u can save the game. btw i found out tat they removed ‘change flash type’ option from the game and added the game_config.txt file in one of the updates, it was v0.9 i think. let me know if you guys find out where i got this boneka k? You can get Akyuu by trading a CHatate at the laboratory(?) on cinnabar island to the guy in the same room as the dude who you’re supposed to give the fossils to. Hello, I finally have defeated the elite four and Garry/Green/Insert rival name here and after this the game don’t find de save data and I am unable to continue the game. I am playing on psp is gpsp and he version of another world is 1.51. I want really much to do 100% of the game, if anyone have one hint ou ideia to help, are welcome. Whenever you start up the game (Not save state), is there anything like “1m sub-circuit board not installed” message? If so, then you probably forgot to set save type to flash 128 and set the real time on. It means exactly as it says. You use the patcher Aichiya provides to patch a clean Fire Red ROM with the .ips file. yeah that is what it says, but the thing is I don’t know the procedures…care to explain how to apply the patch? and where to get the clean Fire red ROM? Google “pokemon fire red ROM”, there are plenty of sites that provide it. I am helping a friend make a pokemon game, and I wish to know how you got your music in because these are mp3’s and not midi’s and google is not coming up with anything of intrest. I even tried to convert it into a midi through some software. It worked, but messed up the music quite a bit. I also used sappy to look at the game’s music but it still had the default music stuff so I’m curious to your methods. Okay, I just started doing this two days ago, so I have no idea how to do this except for steps 3, 6, and 7. I assume sprit means split. I honestly feel like I’m blind and thrown into an unknown room and have to bash my head on the wall to figure out where I am. Google helps though. Nevermind, the lack of sleep is getting to me. Kind of forgot I already knew how to do most of this stuff except for step 4 and 5. Thanks for the information! I’ll finally be able to finish some of this stuff now! At Route 1, I’ve ran into a Lv50 cMedicine twice that acts like roaming Pokemon/Boneka. Also, that ship and sailor that you see when you come out of the Gap Zone, where does it bring you to? Should I go on it? I’ve just cleared Brock if it helps. The sailor takes you to an island where you can breed your Boneka. So it is basically a daycare? Lv57 Parsee at Yami Cave (Diglett’s Cave). I caught it and nothing crashed. I think they are the Thmn AW versions of Entei, Suicune and Raikou? Aichiya, is that right? High level Parsee are extremely rare in Yami Cave, but are supposed to be there; they don’t roam. If you stayed there long enough, you’d encounter another (you’re more likely to meet a high level Yamame first, which, though also rare, is not as rare as Parsee; at least that’s my experience, as I had done some level grinding in there before). I see. So this applies to all areas? So I could possibly get a high-level Flandre/Remilia/Patchouli/Minoriko/Shizuha/etc at Nugget Bridge? Or high-level Sakuya/Yumeko at the patch outside the Boneka Centre near the Gap Zone? Ah, and any ideas why the cParsee flees after I make a move? It basically acts like Mesprit/Cresselia. I know it applies to several areas. I did a lot of level grinding in Yami Cave, so I remember it fairly well. I believe there are some other areas, though I can’t recall any of them off the top of my head. All I can for sure remember is that they are very rare. Please someone can help me’? I can´t go outside of hakurei shrine.. when reimu tell me i have amnesiac she tell me to leave the shrine but when i try to get out nothing happened the screen goes black and i don´t know what to do … Please someone can help me. Did you use any cheats? They break the game. Perhaps you should restart the game? You’re not very far in, anyways. 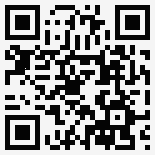 And try a fresh and new copy from the new download/patch link. Is someone able to point me to the VS Seeker? I’ve defeated the first meeting of Tenshi and SS Anne, but not Lt. Surge. I’m currently having some problems with tamamushi city, whenever I try to go inside the game freezes and I can’t do anything, I really need the sylph scope and I’m stuck until I can pass so is there anything you have to do previously or is simply a bug? Hello there! Im not sure if this was asked before. Does anyone here have a clue where I can find Reimu’s picture/wallpaper that can be seen in the boot screen of this particular rom? Thank you in advance to those who can help me. I have a question regarding one of the songs used in the game. In the Rocket Hideout at the game corner, what is the theme that is used while you are exploring it, to battle Giovanni? It’s really catchy, and I’ve heard it places, but I dunno the name. 1 – Can you go to the Sevii Islands? 2 – When is the event for Bill giving you the Tri-Pass Ticket supposed to happen? I finished Guren Island (both Mansion and Gym) and I don’t see him. 3 – Or am I supposed to go and talk to him in his house? Alright, nevermind my last question, I found out the original song right after I posted. Anyways. This is important. I use the Unedited Header patch on gpsPhone since the original rom couldn’t save. But also I am attempting to insert cheats onto it using iFile. So, for the name, do I use the original rom name (FireRed), or do I use Touhoumon Another World? I put Unedited Header patch, however the cheats never show up. I’m wanting to experiment with the random Pokemon modifier, to see what would happen. I have my original Sav backed up just in case. Any help would be greatly appreciated. By the way, Aichi. Much respect for you for making this game. I’ve been a major 2Hu fanchild for awhile, so stumbling upon this hack, a cross of both my most cherished games, was like a gift from the gods. Also, I’ve been finding some LBonéka at high levels (level 69 LCirno in Icefall Cave and level 70 LYuyuko behind her house, in the Saigyou Ayakashi, any idea where I can find more> Really need a replacement for the Meiling I’ve been using since the start of the game, since she doesn’t have a LForm. Anyone know how to get this to work with pokesav? ummm, the ‘Technical Information of rom for development’ is invalid or deleted…. could you fix it? Need Help, i Patch the game and all and then i load the game and the image is white D: can see anything U_U. the game glitched when i went up agenst the electric gym leader. the gym leader used thunder i think and it wont stop playing the sound and its really annoying what do i do? Just save the game and restart. It’s a rare glitch that happens even in the original Firered/Leafgreen. I am having problems with tamamushi city too… What do I do? I can’t get inside and because of it I can’t go on…. I’m using visual boy advance 1.7.2, and already made the save and real time configurations…. Replace XXXX with your desired item, eg. for Rare Candy 0044, PP max 0047, Heaven Orb 0001…. you can look up the numbers, just search for FireRed ItemCodes. They are identical with Another World. Hello. I have a question. I currently am at the step where Patchouli gives me a Zero Boneka. Because I’m wanting to get all of them at once (well no I’m not wanting to use all of them, I’m a collection maniac :p), I’m toying around with normal saves and savestats, so I get a different ZBoneka every time and transfer it to another ROM (MMW for my part). But I noticed that whatever the ZBoneka that Patchouli gives me, it is a shiney. Is the free ZBoneka supposed to always be a shiney? If it’s the case, then i’ll be sad: I don’t care if it’s tougher than a classic ZBoneka, all I want is to get the ZBonekas with their original colors! I have the feeling that my ZSanae actually is Reimu with those colors… And my ZMarisa looks more like the PC98 Marisa (AKA Kirisame in this game) than the good old “black-white”. Well, I guess you got me. If I ever get Zero Coupons in World Link (got to play aaaaaall the way through first I guess…), can I hope that the the ZBoneka that I will get will be a NORMAL ZBoneka, and not a shiney? Or will they be normal? The ZBoneka is always shiny in this game. Any normal colored ZBoneka isn’t legit since you can’t get them anywhere else. They’re special event Boneka that are overpowered and aren’t registered in the Dex. So unfortunately, you can’t get a normal colored one by any means, only shiny ones from Patchouli. There’s also the ZYoumu event (file was given bu Aichiya). I’m not sure if it’s shiny or not, though. The event ZYoumu wasn’t shiny, that I remember. And I think Aichiya also gave away 3 shiny starters along with a non-shiny ZMarisa. Mkay all you Touhou fans, I have an incident I need you to solve. XZD. Well, I’m currently at the Boneka league with some lvl 100 boneka and sittin’ in the room with the dragon trainer (Forgot his name, but he’s the 4th boss). Unfortunately, I’ve been going through the entire game using file saves (goin’ into the file menu and saving there) so I havn’t noticed this until now, but my game doesn’t save…It’s set to automatic Flash 128 or whatever too. When I attempt to save, it comes up with “Save error. Please exchange the backup memory.” Now me, being the inadequate, emulator knowing person, I have no clue what this means XZD. Anyone got a solution? @fairfolk1 It might be 4 years later, but I guess it’s better than nothing, and I haven’t seem any comment that answers the question, or I went past them and didn’t notice it. Unfortunately there’s no way to fix it, you(anyone else)’ll need to restart the game and see if it saves “normally”, if it does, then everything will be okay, you can even use save states, and you’ll be able to still save. Changing to Flash 128k mid game doesn’t work, I had the same problem with vba on pc. I think what happens is that loading a “save state” will also load the some setting you were using on the game when you 1st booted it, and to apply the new settings would need the ROM to be reset and not load the save state, and since you can’t save, welp, all progress will be lost. Just use some Rare candy cheats so you can skip the grinding and be back there in no time. AGAIN: after starting the game, do a test and see if the “saving” feature is working, don’t advance without it working, it’s gonna be useless. Um. I am ~super early~ in the game, so nobody might remember this, but the trainer right outside the next village up from your hometown, the first one you really have to beat to advance that runs up to you? She has a Rin. Is that normal or is it a bug, ’cause that seems kind of excessive. I was twice its level and I couldn’t beat it. Oops! Wrong thread. Please ignore this; it should have gone in World Link. Sorry for the confusion. Is it at all possible to breed ZBoneka to get the non-shiny states? Can you breed them period? ZBoneka are unbreedable. Legit ones obtained in-game are always shiny. As far as I know, it’s not possible to get non-shiny ZBoneka without some outside modification to the game. If you really want some non-shiny ZBoneka, there are actually legit ones that were given out through past events. These are Marisa (ZMarisa) and Zようむ (ZYoumu). I think those are the only two. Well darn. I’ll just use the shiny ones then. Thanks for saving me some time trying to breed them. Also thanks for that guide you posted. Saved my bacon several times. it is possible to get a non-shiny ZSanae on 30th december (or 31st, don’t remember) in Marisa’s Magic World. But you won’t be able to rename it. Use the Save State function instead. A lot of rom hacks can’t access the battery properly through Gameboid, hence the Save errors. I know its a bit late but I do have the similar problem with my first gameboid that i got on my smartphone … probably i didn’t set to flash 128kb bfr starting the game and got the backup memory problem and cannot continue the game after beating elite 4..
Ah, CRAP, I forgot about that… I JUST remembered that it forced you back to the title screen, so I’m going to get SCREWED unless I play that part and I’m able to save! Thanks for the warning, bud. Attempting to play this hack in GBA.emu for iPhone, it freezes when you’re supposed to battle Tenshi. You walk up to her and BAM! Frozen. The music’s playing, the buttons don’t do anything, and you and Tenshi are just having a staring contest. but what do I do with the remote control Suwako gave me at moriya shrine ? She says that she got it from nitori and hid it at border island…. I went to border island and tried to use it but nothing happens….. Without cheating and without trading, there’s no way of getting more than one ZBoneka. It is possible to get more than one by toying around with savestates in trades with other games to get infinite “free” ZBoneka from Patchy. The similar can be done with Zero Coupons from World Link so that you can get a small stack of Zero Coupons in your Another World game, and then use a cheat to have an infinity of these. Considering your situation, the only way to “fix” your mistake is the trick with Zero Coupons if you don’t want to start again the game from the beginning. If you want another Z Boneka, you could use AdvancedMap to edit any items you haven’t picked up in Kanto into Zero Coupons. Umm, hey, when I downloaded the Another World zip file it didn’t include Fire Red (U) for some reason. When I tried to patch Another World using a different rom of Fire Red, it worked, but when I tried to play the new Another World.gba file, it was playing Fire Red instead of Another World. Am I doing something wrong? Btw. i recommend you create a “fast version”, as most people play 2x or 4x speed, so you make the music 2x slower / 4x slower so that it sounds fine on high speed! Switching to 128k memory will not fix the problem if you started the game with 64k. I’m quite sorry to say that, but you need to start all over with a brand new save. I already had a friend of mine who had the same problem, and it appears that he switched to 128k while already having a save. I already tried saving using fire red *before patch* and it works well. I don’t have VBA available under my hand (quite a long time I haven’t played Touhoumons…), but it’s maybe either the emulator being configured wrongly somewhere, or some incompatibility with the operating system (I think I read somewhere that there were issues with some Mac or XBox). Be sure to have the GOOD Fire Red ROM also: I’ve experienced graphical/compatibility issues with wrong versions. Be very STRICT about the ROM that you use before patching: it’s “Pokemon Fire Red (U) v1.0”, not the Japanese/French/Spanish/Whatever version, nor the v1.1 (if it even exists) or God knows what. No progress but the save slot works in fire red,moemon fire red, and another pokemon games except for pokemon mystery dungeon red rescue team. An my os is win7 so I don’t think it will cause any problem..right? Dunno what’s wrong with the save file or gba. Is there a compatibility list for the Boneka? I’m trying to figure out which Boneka learns Waterfall. According to this dex, Nitori is also able to learn Waterfall, but she can’t learn Dive though. Quite weird for a kappa I might say. Even weirder when her fellow kappa Mitori does can learn it. really impressive! May I ask which kind of Program you’ve used for changing the Game data? Where do you get the Machine Part? I tried talking to suwako but she wont give it to me what prerequisites do I need to fulfill? I have some trouble in Another World I can’t seem to find the World Dex even after beating the Gensokyo League. Someone have any clues for me please ? Maybe there are others, but that’s the only ones I think about. Thanks, I just remembered that. Oh. I just read the post, I am stupid. And why can’t you fly to Pallet and Cinnabar? …Where are the three Light Fairies? They are found in the Forest of Magic. Head to the water on the left of Alice/Marisa houses. You’ll find them near a big tree. That’s what I did, but still couldn’t find them. You need cirno to actually ask you to go punish them “if you want the book that she has”. They won’t appear if she doesn’t ask you. Oh, thank you, However is there any requirement for her to actually say that? And how do you get to Moriya Shrine? Never mind. I discovered already. So there is the ledge blocking the path from Youkai Road To Mountain Road, how do I cross? If I remember well, Cirno asks you only if you try to read her tome (from the top of the room), which can happen only if you found a given number of tomes before. Aki Sisters, Aya and Sanae are supposed to be found along the way, but they probably appear only if you found the tomes that you were supposed to find before. Just wondering if any of you guys encountered that weird CMedicine (lvl 50). I already encountered it 3 times while I was roaming around the normal world. The default(? )encounter music plays whenever I run into it. I already finished the E4 and now preparing to take on the Gensokyo League btw. I have, and I’ve caught it. It’s just an ordinary CMedicine. I think you’re supposed to encounter a form of Shingyoku. I think the game uses CMedicine because her dex id corresponds to Entei. As for Last Word characters, they can only be encountered with the Last Tag and with a high level Boneka first in your party (?) I think. There’s some more Last World Boneka such as LReimu, LChen, LAya, and so on. I don’t know where they’re all at exactly, but I kinda remember finding LChen near Route 1. I guess I wasn’t able to explain it correctly. I meant the Last Word characters that don’t need the Last Tag to be encountered. Interacting the tree behind Yuyuko’s house starts a battle with LYuyuko. I was referring to those kinds of encounter. Hello, I have a little problem in Another World. I can’t seem to be able to exchance some Bonékas to get their Last Word forms like ERemilia to LRemilia or EFlandre to LFlandre. Somes seems perfectly fine since I got LAlice through trading but I don’t understand why I can’t get the others. I have the following message : You can’t trade that Bonéka yet. Does someone knows know how to fix that problem please ? Did you get the National Dex on both games? Yeah, I got them from Akyuu in both games(well it’s the same save file but well). Did you fix the trade machine on one island? And what do u do with the remote control u get from suwako? You can get a Tensoku in the water near Border Island with this. i have a problem -_- after win VS Marisa i went to Rinnosuke but Nitori wasn’t her so what did i miss ? She isn’t there straight after you beat Marisa. I believe you do have to go to Muenzuka’s Eirin Center or to go talk to patchy. I haven’t been able to know what exactly needed to be done for that scene to occur, but I’m pretty sure that it’s something stupid along those lines. I was just wondering if you put Miku, Rin, Gumi, and Len into Another World yet? I’ve been abusing the save state function to constantly re-roll my ZBoneka in hopes that I roll one of the vocaloids but I’ve been having no luck. Part of me says its my terrible luck, but I just wanted to make sure just to see if I’ve been searching in the wrong haystack or anything. To my memory, only Miku was available in World Link (and you can battle against a Rin in the same hack. If you got a catch trainer’s pokemon code, you can probably get it too). ZBoneka from Another World will never be one of the Vocaloids unfortunately. No. You cannot catch a trainer’s Boneka if it’s an out of dex Boneka. It will crash the game when checking for the dex entry. great work, sanae. i started playing this because of a demotivation poster where yakumo yukari drops using spell cards, get moar lazy and says: i got bored of danmaku, im gonna be youkai trainer. so that made me came here. im currently playing another world on my galaxy 5 using my boy! emulator with bluetooth link. i used to play AW on gameboid, but it gave me save error so i switched to myboy. now i can link your games with my friends using bluetooth. also, i used to play v 1.42, but since the random item error and other bugs, started playing again but using latest version of AW. i would like to see a spanish translated version of this game if anyone can do it with your permission, because not everybody knows how to read english here, and some of my friends liked a lot your game. about the link feature…. using my boy! emulator for android and bluetooth is very fun! Ealgrete (who alzo made Pokemon Golden Sun) is developing Touhoumon Gensokyo Scenario, he isn’t done with it yet, but the current version looks very cool. WARNING: This reply hasn’t been written and poster for spamming, but for informing. AL PARECER SOY EL UNICO CON ESTE PROBLEMA, PERO DONDE PUEDO CONSEGUIR DOLLS, ES EL UNICO BONEKA QUE ME FALTA PARA COMPLETAR MI IDOLDEX EN ANOTHER WORLD. APPARENTLY I AM THE ONLY ONE WITH THIS PROBLEM, BUT WHERE CAN I GET DOLLS boneka IS THE ONLY MISSING ME TO COMPLETE MY IDOLDEX IN ANOTHER WORLD. how do you get aichi to fight you? I’ve defeated the JAVA League and i have obtained the 7 gems too, but he don’t want fight me… Oh, by the way, I Have Layla already, so why ? Erm. First you posted in Another World, while you fight him in World Link. Second, I don’t remember the details, but you have to fight someone else before him. Don’t remember who, probably the regular league (I think I remember that we got to fight them a second time, but they have only lvl100 Boneka if I remember well), or a few other people inside the Java region. Anyway, if you want more Zeros, just cheat the hell out of your Zero Coupon that you should have already found somewhere in the Java region (a bit before the 4th champion if I remember well). Sorry But someone can tell me how can i trade my boneka please ? Hello, I’m getting an error in AW while I’m going to save: https://lh6.googleusercontent.com/-puv4ZYt90p0/U8PyBqksuHI/AAAAAAAAAfQ/NMS56wpTYZQ/s800/CAP201407131259.png (Emulator: My Boy! 1.6.0, if you can’t see the error returned is: “Please exchange the backup memory”.). I tried with all the posible save configs included on the emulator, even downgrade it but nothing, I won’t be able to trade!. Also when I load the game an error of the 1M subsircuit board appears (I know that I’ve to set the save type to Flash 128K but doesn’t work). Finally the game thinks that I’ve a save but not, I’ve no battery file anywhere on the SD card and dunno why the game thinks such a thing. Do you know the posible causants of this/how to fix this error? the ROM may be a problem? (I applied the IPS to a USA fire red ROM but dunno if it’s “clean”). Looking forward to your answer, thanks!. Hi guys I just beat the elite 4 for the original kanto and now i cant seem to move on too the gensyoko part of the game. Everytime I enter the hall of fame it doesn’t actually save my game. I’ve been using savestates throughout the whole game and I might have accidentally used Flash 64K but I changed it now to 128K but I still get the same error when I try to save after beating lance. The error I get is the thing that says there is already a save file would you like to overwrite it but then after it says Please exchange memory backup. I have Flash 128K and Real Time Clock and nothings working. It only saves when I start a new game. Scratch that, I talked to everyone in Gensokyo thus far and it seems to me that talking to either Patchy or Koakuma triggers it. You have to start over, Cat. I had the same issue, but I noticed it early on. If you start with 64k+no real time clock and save, then you switch to 128k+real time clock and save after your game is still fucked. You’ll need to start over completely, delete your saves, ect if you want to pass the Elite 4 and trade yourself for the Last Tag boneka. So i’m playing AW lately on the VBA emulator, it works fine (some glitches that are mentioned), even saves works. but when i’m trying to play it on gameboid (on my phone) i get the “1M sub-circuit board error”. Only for AW, and also only on the phone. i tried a lot of things, and yes; save is 128k and real timer clock should also be on. any help on this matter? thanks. Having the same problem. Anyone knows how to run it in GameBoid or GBA Emulator on Phone? Game doesn’t seem to be compatible with MyBoy! And RetroArch. Keeps crashing before game even starts. Also, it’s bad marketing to have someone go through so many links to finally get to the download link. Especially if the first like says download link. Is there a songs list i can put in the sappy.xml file so i can look for songs more easily? also one for world link? I accidentally skipped cirno, and she won’t give me her mission, help! i sleep in masara town and i dont go to the dream world! i can’t run the game… i patched it into a gba file with pokemon fire red and i put 128 save type and auto clock but i still get the white screen with a very nice ear-bleeding screech… can someone help or had the same problem or i’m the only one? I get the same problem… I really want to play this game because I remembered hearing about it, and because I just got a GBA emulator on my phone. But please, anyone reading this, HELP! hope that helps with the backup save errors! did all the correct stuff but I still cant save. Can anyone post a video link on how to fix it? i can’t enter tamamushi city at route 7. I tried to step to the city but the game stopped everday. please someone help! I can’t enter tamamushi city at route 7. if i step to the city, the game may stop. what should i do? please help me. Why does the battle song stop when you take out your boneka in battle? hi! are you still active? i’m playing touhoumon another world in my android phone using the My boy but for some reason when I saved the game, restart my boy to continue wjere i left, it says that 1m is not installed, something like that.. do you think ypu can help me with this? Why Nitori not appear after I defet Momiji? Why? I want to buy some Items like Last-Tag,Sun Stone and the other. Hey, er, even after setting the save to 128k and patching it exactly as it tells me to, the game freezes on a white screen with glitchy music. Is there any way to fix this? Edit: I found the problem. DO NOT PATCH IT TO V 1.1! IT HAS TO BE 1.0! Good afternoon. Unfortunately, I’m having a lot of trouble with this game. I downloaded it and used the IPS patcher that you sent to patch the game to the appropriate game, which I ensured was clean and worked. Unfortunately, the IPS patcher that you bundled with the download seems to be glitched, and an non-glitched patcher views the patch as inappropriate. When I used the glitched IPS patcher, it worked, but the dialogue is glitched and runs over the top of previous dialogue. Also, when I leave Reimu’s house, the screen goes black, and a loud screeching sound is emitted. From this point on, the game can no longer be played. Can this be fixed? Thank you. Tadamushi City, head to the ‘restaurant’ in the southeast, and look for a dejected guy who lost a lot of money. Where we must to go to find Yuka ? In order to find her, you need to have the “dream stone”(or something with a similar name, srry, I forgot the name. ), that Prof.Oak gives to you (I think). Then go to your room and sleep, you should appear in the dream world, after defeating the boss there, go back to sleep. You should appear in another dream area, then just battle your way through, because Yuuka’s mansion is there. I think Reimu should give you Waterfall afterwards. Also, where can I find the old rod? Which starter do you guys consider the best between Reimu, Marisa & Sanae? I wanna try the Nuzlocke Challenge, and it’s kinda hard to decide which one would be more useful later on. How do you fight Yuuka? Get Dream Stone from the prof.
Fight Mugetsu(I guess that was who was there, I don’t remember) in the dream world. Exit and Sleep again until you appear in the Lake of blood. The path will lead you to Yuuka’s Mansion. Where can I find YMarisa and YReimu?